OGM Video Converter for iPod, Zune, PSP, iPhone, 3GP Phone! OGM Video Converter is easy to use to convert OGM files software for converting OGM to DVD, OGM to AVI, OGM to MPEG, OGM to WMV, OGM to MP4, OGM to MKV, XviD, MPG, etc format files, with almost high quality. The powerful features and unbeatable price make the OGM Video Converter an affordable and powerful video conversion solution on personal computer. The OGM Video Converter has good compatibility of the encoded video. The video files it created have no out-of-sync problems. It also support batch conversion: Just add the video files you'd like to convert, set the output format, and let it run. OGM Video Converter can convert OGM to AVI file, convert OGM to xvid. 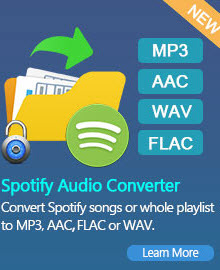 OGM to AVI Converter is also a video converter, video splitter and editor. It changes the frame size, frame rate, video compression codec and audio compression codec. The key features include: Encode AVI with MPEG4, XVID, Windows Media Audio and Video Codec, DV Video Encoder, etc. Split video file into smaller pieces. Change the frame size, and adjust the video aspect ratio. Change video file size with choosing the different encoding bitrate. Change video and audio compression codec for avi file, Open compression system for video and audio. Convert other video formats MPEG, MPG, ASF, WMV, MKV, VCD, SVCD, DAT to AVI file also. OGM Video Converter is a video converter software to convert and burn your videos to DVD Video format like convert AVI to DVD video format, convert OGM to DVD video format, convert WMV to DVD and so on. With OGM Video Converter and a few clicks you can backup your movies to DVD video format and burn them to DVD disc to play on any home DVD player. OGM Video Converter is an easy to use and high quality all-in-one program for converting OGM videos to PSP, PS3, iPod, BlackBerry, iPhone, Xbox 360, SonyEricsson, Nokia, iTouch and PC like AVI, MP4, MKV with H.264, XviD, MPEG2 video and AAC, AC3, MP3 audio. 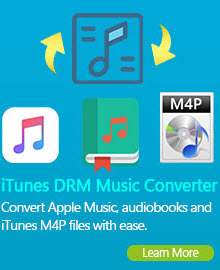 Converting your OGM file into MPEG with OGM Video Converter will allow it to be played by all media players on your computer, thus making your video file more versatile. Because MPEG is not as high quality as AVI, the video will not be as clear. However, it will be able to play much easier than if it were in OGM format. OGM Video Converter is designed to meet all your needs of convert file between MKV, OGM, extreme fast conversion speed and friendly user interface let you convert video files between many formats with ease. OGM Video Converter is also multifunctional video editing software comprising functions of video joiner, video cutter and video cropper. Using this video converter software, you can accomplish almost all common video editing works with excellent image quality output. For example, this video converter can help you join multiple video files into a new one, cut one file into several segments easily and fast.